I've missed the last couple of #StampingSaturday posts because I've been so busy, but I'm happy to be back. I love this little group who participates weekly, so I miss being among them on Saturdays. Today I started with a base of KBShimmer Owl Miss You a soft beige base filled with gold and copper metallic flakes. It's so stunning, I almost left it alone. I used two easy coats for full coverage. I then went in with Mundo de Unas Gold and an image from It Girl Nail Art IG-101. I really love how the image frames the base and the gold plays with the metallic tones in the base. So there you have. Don't forget to join us in the link up below. 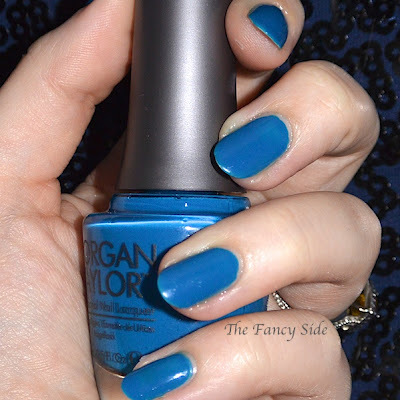 Today I have a swatch of a polish that helps out a good cause. When you buy this particular polish half of the proceeds go to charity to help a deserving young man who at the age of 16 had a stroke. If you'd like to read more on the story, visit Karen's blog. Inspired by Kent, who loves red and music, M Polish You Are My Symphony is a deep red, almost burgundy, polish filled with scattered holographic bits. 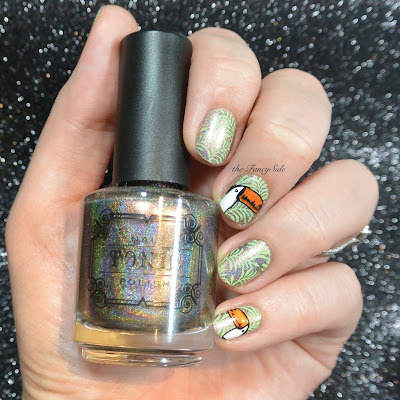 This polish does have a thicker formula, but that is because it also doubles as a stamping polish. BONUS! My swatch is two easy coats for full coverage. A great polish that helps others. Can't beat that! 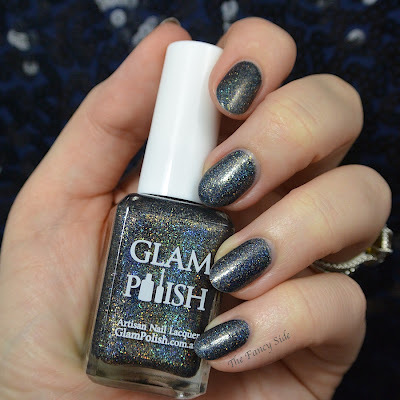 On Wednesday, I showed you the awesomeness that is the M Polishes Winter Collection. The awesome thing about this collection is not only do they all wear beautifully, but they also stamp like a dream. So today, I'll be showing you exactly that. All of these polishes stamp evenly and easily. Polishes that do double duty...sign me up! First up is M Polish Bells stamped with M Polish Figgy using a design from MoYou London Fashionista 02. M Polish Carol stamped with M Polish Cranberry using a design from MoYou London Pro XL 01. Next we have M Polish Cranberry stamped with M Polish Carol using a design from Uber Chic 2-01. 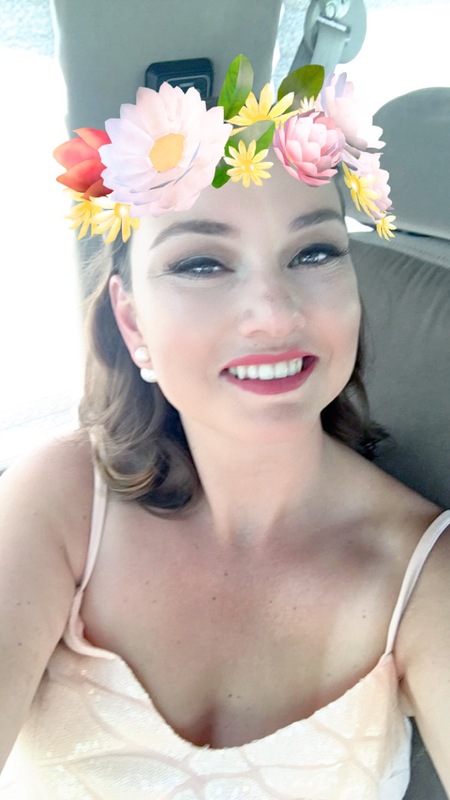 This is my favorite look that I did out of all of them. Something about that argyle stamp done over M Polish Figgy done with M Polish Bells. The design is from MoYou London Pro XL 01. 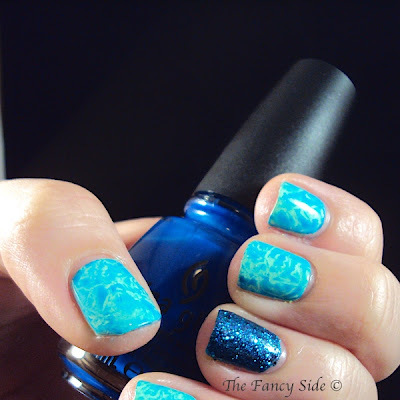 Next we have M Polish Frost stamped with snowflakes in M Polish Joy from Bundle Monster 323. Finally the last look is M Polish Joy stamped with M Polish Frost and a design from MoYou London Holy Shapes 04.